Repress released 9th February 2015. 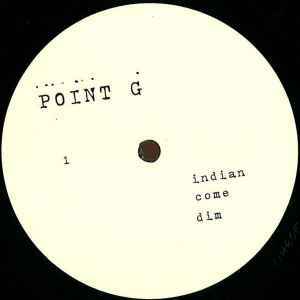 The more I search music the more I realise how much Point G has copied other artists from many moons ago..
damn, Dim is a perfect execution in form of the mid-90s NY underground house sound's best elements. this could have been a MAW, Louie Balo, or Mood II Swing dub from then, but instead it's some Parisian guy whose lab is producing this sound distilled from those influences. quite a yield here. man.. the fat kicks / claps / snares, the bassline, the vocal cut up samples, the great breaks building that sweet anticipation, and most of all the attitude.. love it. As much as I love this record, mine sounded like garbage right out of the sleeve, especially side B. Sounds like there's a big glob of dust on the needle--where there is none. Bummer. I'm inclined to believe it's just the re-press with this issue--would've expected someone to comment on it before had it been a prob with the OP. Will this be repressed as well like pt 2?